Prominent & Leading Manufacturer from Pune, we offer automatic fire suppression systems and industrial fire suppression system. 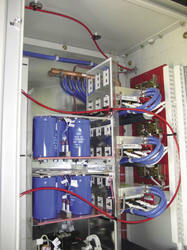 Fire Suppression System for Wind Turbines from Firetrace is a crucial safety measure. Wind turbines manufactured today incorporate the highest quality and safety standards, but the potential for a fire always exists when electronics, flammable oils and hydraulic fluids exist in the same enclosure. Electrical fires can also result from both shorts in equipment and surges due to lightning strikes. Additionally, secondary wind driven brush fires originating from wind turbine fires can result in significant additional damage. Having a pre determined quality administration system, we are readily occupied towards offering an inclusive compilation of Fire Suppression System for Cleaning Tanks. We offer these at affordable rates in top class packing solutions. Cleaning tanks are used in many industrial processes. Many cleaning tanks use highly flammable solvents, which is why industrial fire protection is such an important issue. A fire can break out in an instant, and cause serious damage to industrial equipment and threaten lives and property. Firetrace is proud to offer industrial fire protection for cleaning tanks utilizing flammable solvents. A run of red Firetrace Detection Tubing (FDT) can be under the lip of the tank and around any other risk areas provides detection right at the source of a growing fire. The Firetrace system is designed to automatically detect and suppress a cleaning tank fire in seconds, preventing a small fire from becoming a big problem. 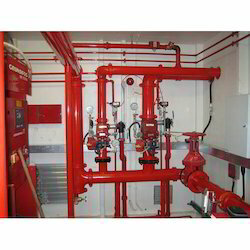 Industrial fire protection should be one of your top priorities. In the blink of an eye a fire can break out and cause extensive, expensive damage. Contact Firetrace today for more information about tank fire protection!